I’ve dabbled with brown hair before but I’ve always felt more comfortable and confident as a blonde. As I’ve gotten older my naturally blonde hair has turned more mousey blonde and I’ve resorted to highlights and high-lift tints to maintain the lighter look I prefer. The downside is that my fine hair has become quite dry and harder to style. I’ve resorted to using heated tools again but this causes further damage, even with a heat protector. 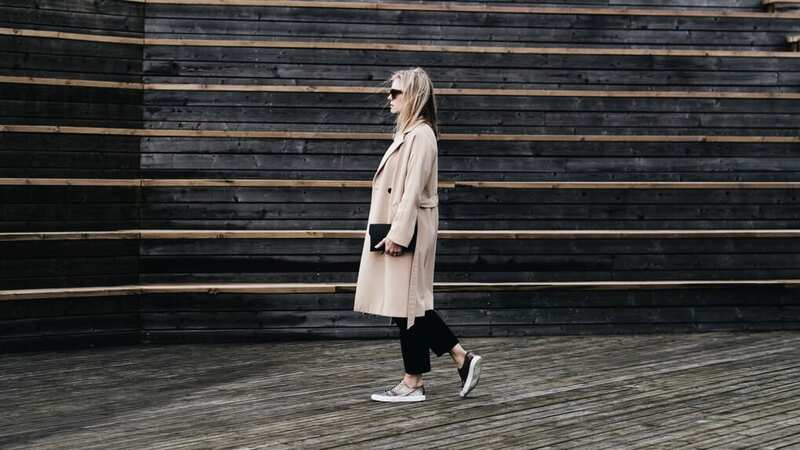 I’m guessing I’m not the only one in this situation so I thought I’d share the latest haircare products I’ve been using on my highlighted hair that have made a huge difference. Not surprisingly, they’ve become an essential part of my routine. I’m a tough customer when it comes to haircare products, I find they usually over promise and under deliver. I’ve been using the same professional shampoo and conditioner for the last two years, as everything I’ve tried since just hasn’t compared. My old staples are not the worst products, they’ve done a fairly good job but I’ve always thought that there might be something better, and that my hair needed something extra. 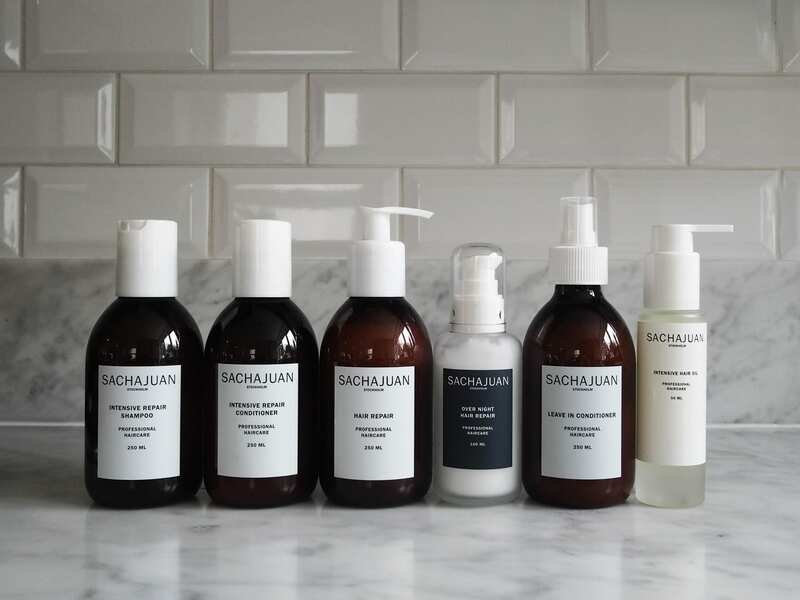 Sachajuan is not a new brand to me, I’ve been using their Hair In The Sun UV protector for a few years now but for some reason I’d never thought to give the rest of their range of products a try, until now. 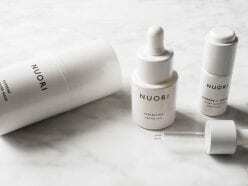 The brand is eye catching, with its Scandi-minimal packaging and label. 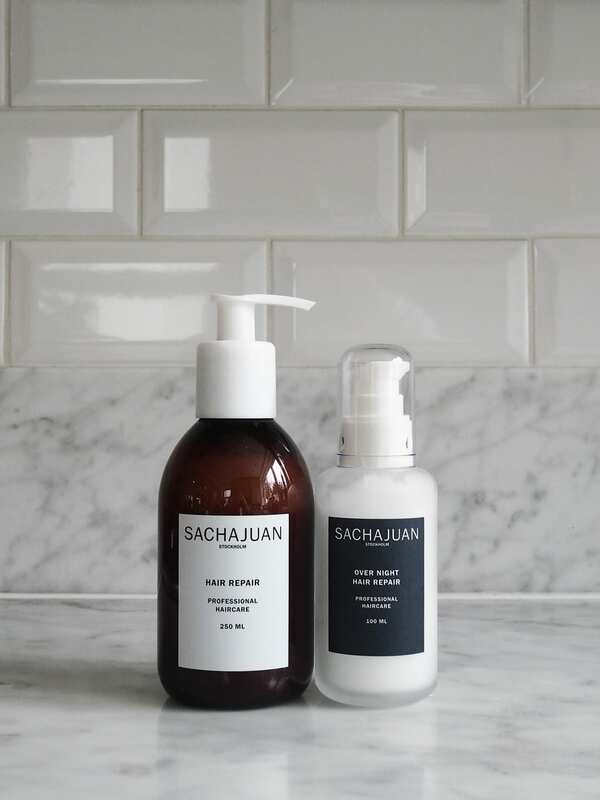 Their bottles are the sort you can confidently display in your bathroom, but don’t be fooled, it’s not style over substance, their products are very good. 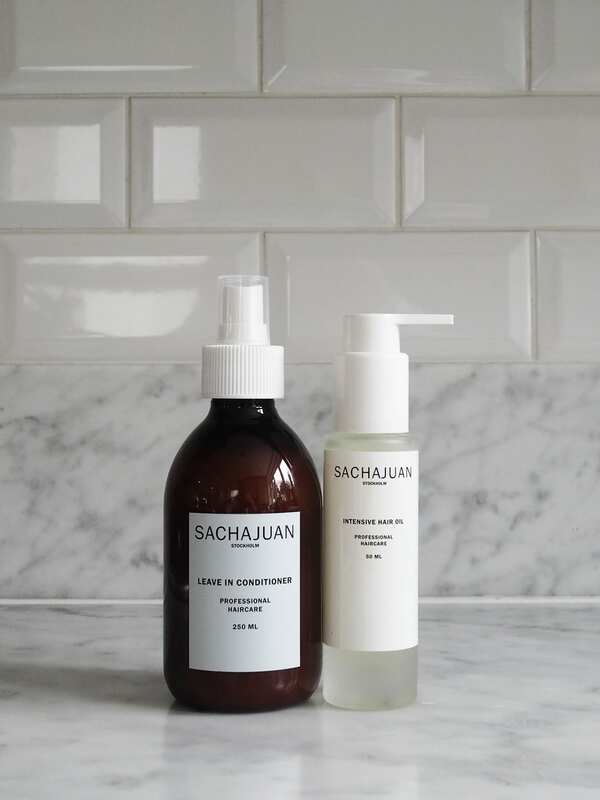 Sachajuan have a few different products I could have chosen. They have products specifically for coloured, blonde, dry and really dry hair (they also have products for other hair types.) My primary focus, for now, is dryness so I chose the products that are targeted at really dry hair. I’ve been using a combination of six products: Intensive Repair Shampoo, Intensive Repair Conditioner, Hair Repair, Over Night Hair Repair, Leave In Conditioner & Intensive Hair Oil. I’m always suspicious of people who say that they noticed a difference after using something just once. 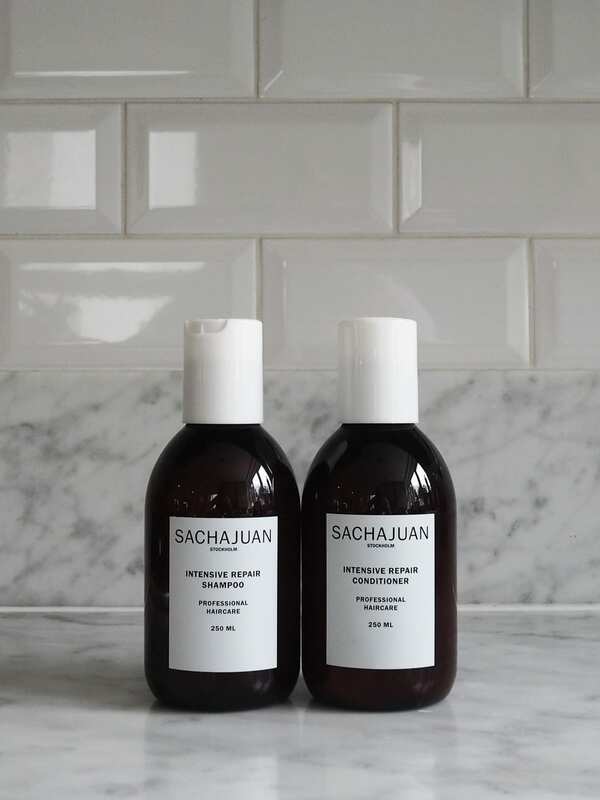 However, I have genuinely seen a dramatic change in the condition, feel and colour of my hair since I switched to Sachajuan two weeks ago. It’s now got more of the relaxed swishiness it had when I was younger. It feels much softer which has led me to keep touching it as I can’t believe it’s my hair. And, my highlights look a lot brighter and softer in tone. All of their products contain their Ocean Silk Technology, a combination of active ingredients, sea algae, protein and minerals which boost moisture, repair split ends, reduce frizz, generally improve the condition of the hair and give it back its shine. They also all smell incredible. A good shampoo and conditioner that leave my hair feeling clean but not stripped, soft but not weighed-down. The Intensive Repair Shampoo is designed for people with damaged, porous, dry hair and/or hair exposed to the sun. My hair currently ticks all of these boxes. The shampoo gently washes the hair leaving it feeling clean but not stripped, and the conditioner leaves it feeling soft but not weighed-down. They also has UV protectants that penetrate the hair follicle, protecting it from future UV damage. Although these two products sound similar they are slightly different, one you need to wash out and the other you can but don’t have to. 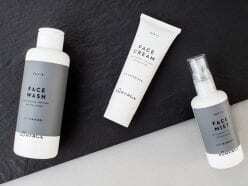 They both work like a hair mask, giving your hair a little extra nourishment. I’ve found them both to be affective and have used one or both at least once a week, depending on which fits into my routine. The Hair Repair is a post-shampoo treatment that you leave on for up to 10 minutes before washing out. I give my hair a light towel dry before applying it. You don’t have to do this but I think it helps the product penetrate the hair more effectively. It heals split ends, is great if you struggle with frizz and generally improves the health and shine of your hair. The Over Night Hair Repair is somewhere between a mask and a leave-in conditioner. After washing your hair in the evening, you apply the product from the ends up. You then sleep in it and, depending on your hair type, you can either leave it on or wash it out in the morning. It’s water-based so it doesn’t feel or make your hair greasy. It improves elasticity as well as strengthening the hair. There are two algae that play an important role, Rhodophycea which works on the inside and Chondrus Crispus which works on the outside. I’ve been using both the Leave In Conditioner and Intensive Hair Oil when drying my hair. It might sound like overkill but my hair is that dry that it can take it. After washing and towel drying my hair I spray the Leave In Conditioner all over and then apply just a small pump of the Intensive Hair Oil. I comb both through my hair before applying Bumble and bumble Hairdresser’s Invisible Oil Primer. If my hair is still a little flyaway once it’s dry I use a tiny bit of the Intensive Hair Oil to smooth it down. *Given to me to review and featured because I love it.